Over 500 items of food have been donated by Exeter businesses to support local families this Christmas. 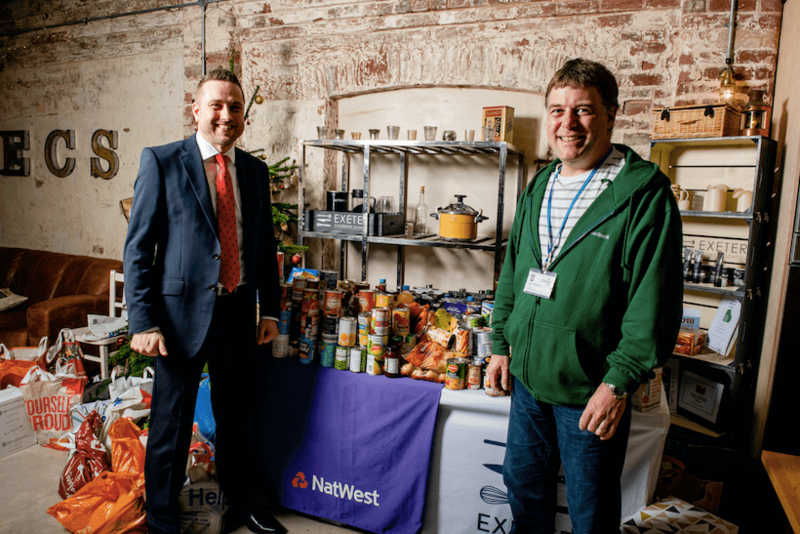 The generous companies made the donations in aid of the Exeter Foodbank at an event staged by NatWest at the city’s Cookery School recently. Last year more than 5,500 people, including 1,610 children, needed to use the foodbank, which was launched in 2008 to help people affected by financial crisis. 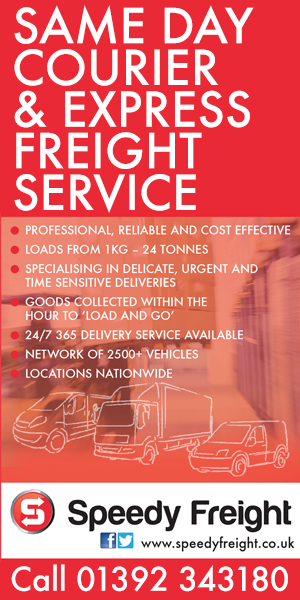 In just two years the average number of people using the service each week has doubled to 180 and staff say this likely to increase to over 200 in 2019. Over 100 companies attended the event, which was part of NatWest’s Boost event series in Devon. Organised by James Court, NatWest Business Growth Enabler for Exeter and Mid and North Devon, the events aim to empower businesses and help them succeed and grow. But with Christmas just around the corner James wanted to use his latest event to help a cause close to many people’s hearts in the city.